Are you preparing for baby and wondering WHAT exactly you should be focusing on while you wait? Usually the obvious tips come to mind when you’re pregnant for the first time: sleep while you can; make some freezer meals, and buy all.the.stuff. But some of the big stuff – the dedicated work of learning all you can before a tiny, wailing human is placed into your care 24/7…well, sometimes it’s easy to forget that the educational side of getting ready for baby is just as important as having your heart and home prepared. At the Pregnancy Center where I’ve worked for the last four years, we teach women everything from how to prepare for labor, to practical tools needed in preparation for parenting. And one thing I’ve noticed over and over : the moms who have committed to this education are FAR less anxious during pregnancy, are more mentally and physically prepared for childbirth and are more likely to have an easier transition into new-mom life than those who come to see us RIGHT before baby is born. Fortunately in this day and age, there are some great alternatives for you. You can receive a stellar pregnancy/parenting education online, via courses designed by trusted professionals. You can take advantage of these resources on your own time, in your PJ’s, on your lunch hour – whatever works best for you. I’ve made some connections with three healthcare professionals who provide exactly the tools you need to answer those burning questions — while you’re pregnant and still have time to plan ahead! I think this is a really important factor, because once baby arrives, it can be so overwhelming to try and learn new things. You need to have time to absorb this information beforehand (and refer back to later). You need someone to guide you step by step in the process of preparing to have a baby so that you’re not caught off guard! That’s the beauty of the online classroom! 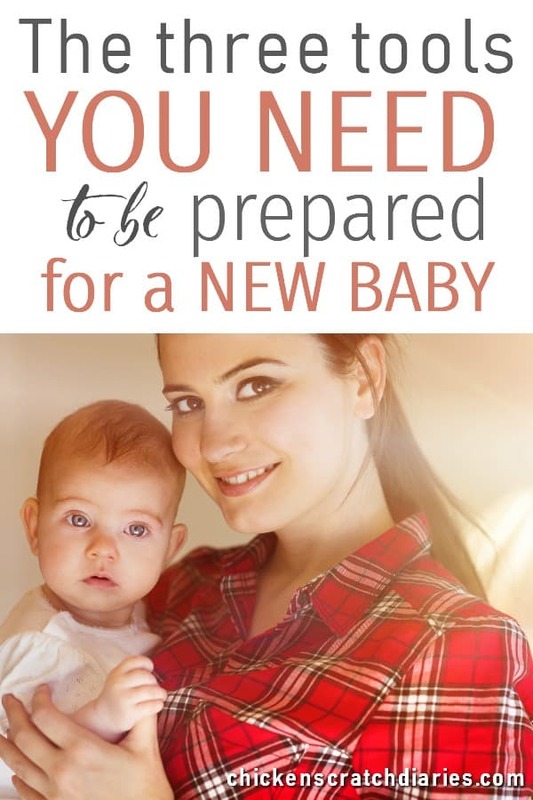 Every expecting mom should consider these three resources to make preparing for baby a much simpler process. Hillary Erickson had an amazing idea in 2016, to create an online Prenatal / Childbirth class that both Mom AND Dad could participate in together, at their own pace and in the comfort of their own home. With 17 years of experience – and counting – as a Labor & Delivery nurse, Hillary offers something unique to busy couples who are committed to learning how to prepare for a baby but can’t work around a rigid hospital birthing class schedule. Plus – her class is fun! She makes the learning process enjoyable, and interjects humor into an often anxiety-riddled time in a couple’s life. You will feel right at home learning what to expect throughout your pregnancy and childbirth experience, from a trusted source. This online prenatal class offers 3 different options to choose from, which you can learn more about here. When I was pregnant for the first time, the word “Breastfeeding Class” conjured up images in my mind of a group of moms sitting around in a circle with their new babies, awkwardly learning how to breastfeed with a lactation consultant making the rounds and telling us what to do and what not to do. That sounded HORRIBLE to me! And while I’m pretty sure that’s not what most in-person lactation groups entail, when I heard about this online breastfeeding class from Stacey at Milkology, I thought – what an awesome idea! Learn to breastfeed at home, BEFORE baby arrives, so that you’re less anxious and more able to do what your body needs it to do – when the time actually comes. For most moms, breastfeeding is not easy. I read up as much as I could on the subject, but I still remember making those phone calls to the hospital lactation nurse after baby arrived, unsure if I was doing it right. And truthfully, whether it’s your first or fourth baby – there are breastfeeding questions and different problems that can arise each time! The American Academy of Pediatrics recommends exclusive breastfeeding for about the first six months, but current statistics from the CDC show that only about 25% of moms are meeting this mark. Many factors can impact the breastfeeding relationship, but based on my experience, it seems that better lactation education and support could be the missing link for many busy moms. Now – some hospital lactation departments are better than others, truly. But a step-by-step course designed to cover EVERYTHING you need to know is priceless. If this class had been available with my first child, I would’ve taken it in a heartbeat. This video-based class will teach you everything from lactation basics, to how to know if your baby is getting enough milk, as well as pumping tips. As a bonus to the course, two e-books are included AND a troubleshooting guide for common breastfeeding issues. The Ultimate Breastfeeding class by Milkology is, in my opinion, an excellent value for expecting moms (or new moms) at only $19. And if you’ve looked at any Milkology reviews, you might notice that the feedback is overwhelmingly positive surrounding this course. By the way – you get lifetime access once you purchase the course, so you can use it with future children too! Sleep, sweet elusive sleep. Last year, I wrote an entire post (in jest, really) about how none of my babies slept through the night – or even more than a few hours at a time – until age one. That first year, times 4, was SO difficult for me especially as a working mom. I dreaded night time – there was no rest for the weary! Little did I know, there are resources like the Baby Sleep Made Simple program to SOLVE this problem! Jilly Blankenship, a pediatric nurse and lactation consultant (IBCLC), began providing in-home sleep consulting services for babies and toddlers in 2009. With Baby Sleep Made Simple program: 21 Days to Peace and Quiet, parents have a range of options to choose from, to suit your particular parenting style and preferences. A simple step-by-step guide that’s based on your child’s age, development, unique temperament & is in tune with your beliefs. Each step includes short videos and visual guides. SLEEP for mom and dad! The personalized support is what sets this program apart from ANY amount of reading you could do online. Trust me, I’ve probably read all the free resources out there! You can check out the 21 Days to Peace and Quiet program from Baby Made Simple for more information- and be sure to read my interview with Jilly in a separate post here: Expert Baby Sleep Tips I Wish I Had Found Much Sooner. Just remember: Preparing for baby and welcoming your new addition into your home can be exciting, stressful, and exhausting all at once; but you don’t have to go it alone. These three fantastic resources can provide the help you need to simplify your parenting journey before it even begins — so that you can enjoy your mom life that much more! Same here Sabrina! The sleep course alone is worth GOLD for exhausted parents!